Decorating with red is really fun. 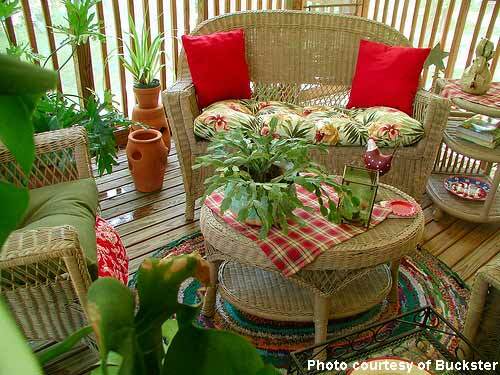 Look how Dawn's screened porch turned gorgeous with pops of beautiful red splashed throughout. 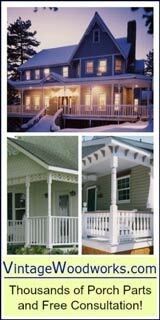 We like her affordable and easy decorating ideas for sure not to mention the other beautiful porches we show you here. 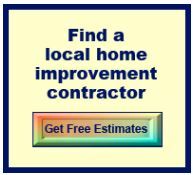 Red works whether you are decorating for summer or anytime of the year. 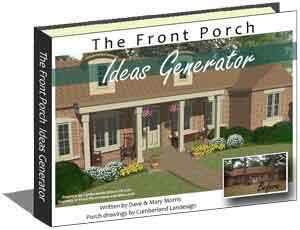 Even in your porch landscaping! 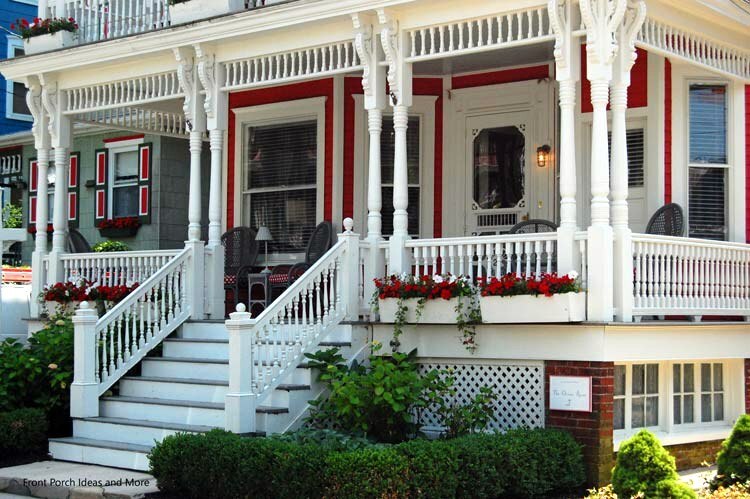 We saw this gorgeous red porch on this wonderful Victorian home in Cape May, NJ. 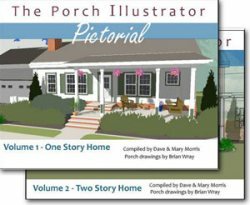 We asked Dawn to share the story of her porch, so here goes: The wicker furniture is a rescue my Dad found for me. His neighbors were getting rid of it. I paid $25! I gave it a good cleaning and then repainted it the taupe color. I found the little wicker end table at a thrift store for $8 and painted it to match. The rug is one I made years ago, a method called shirret, made from wool strips. I picked up some cushions at a good price and added pops of red from things I have around the house. 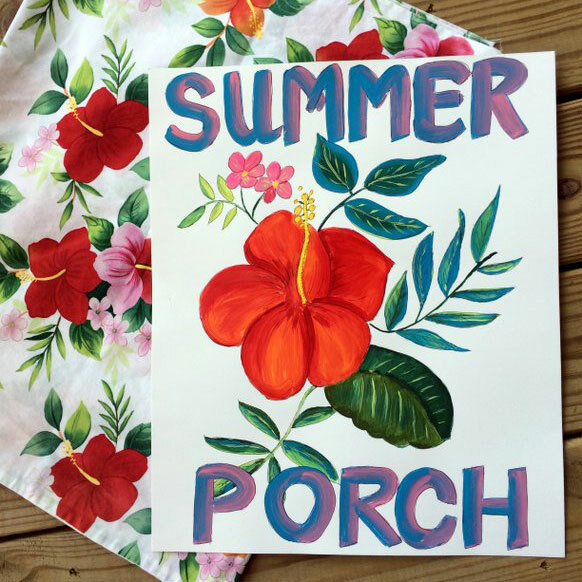 It all came together so well on my screened porch. 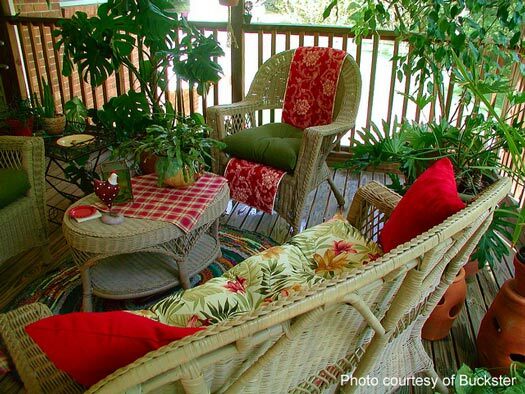 We really like how Dawn used a table runner to add warmth and a big dose of color to her wicker chair. And notice the other little pops of red, too. For example, the coasters, the rooster, the rooster plate, the pretty plaid table coverings and the bright red pot. 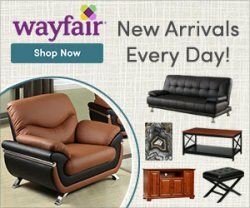 She said that she found the cushions at Old Time Pottery for a good price. And you've got to love those red pillows, too. 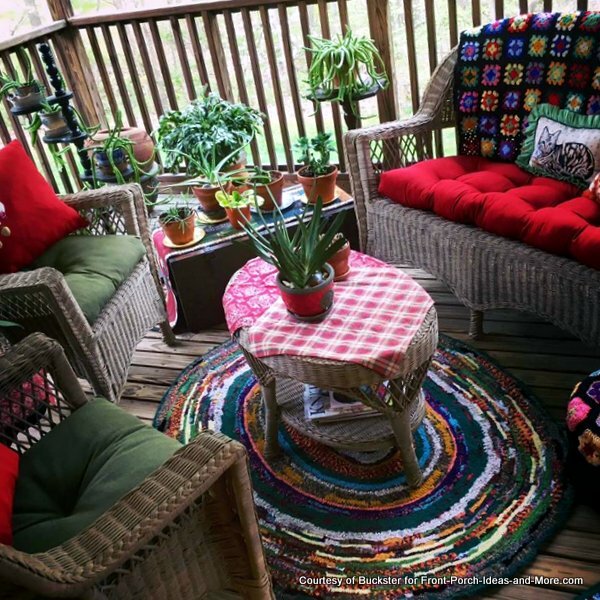 The rug that Dawn made of wool strips is very charming on her porch. 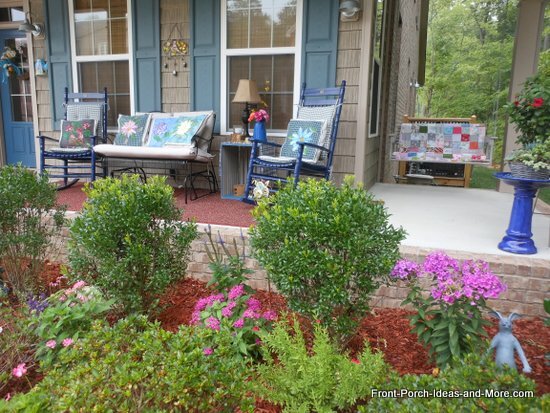 Dawn, thanks so much for sharing your porch pictures with us. 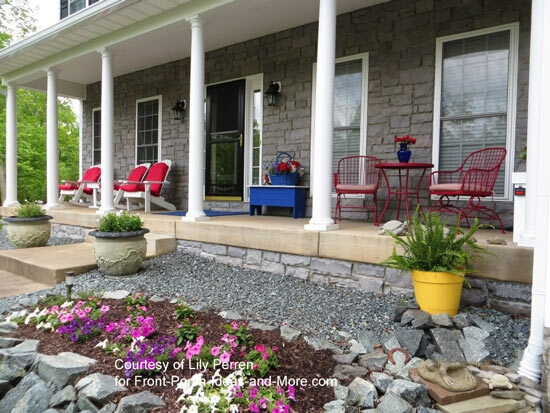 Your porch rocks! 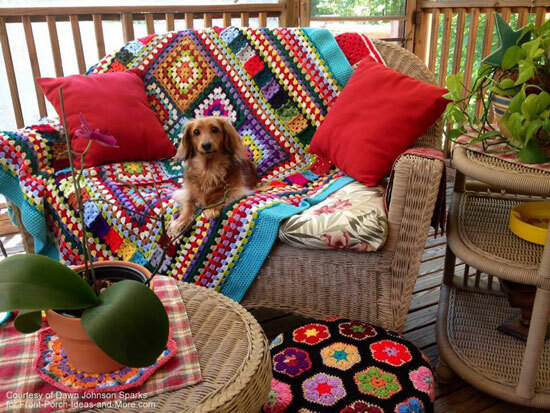 Red overtones with lovely hand crocheted items make Dawn's porch (and her girlie) one of my personal favorites. 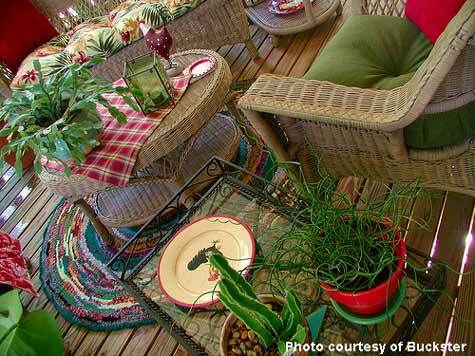 Dawn recently sent this updated photo of her back porch ready for springtime. 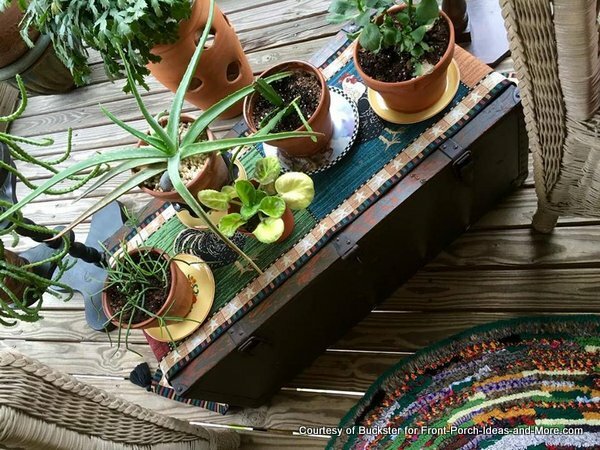 Dawn used an old army trunk on her porch as a plant stand / coffee table. 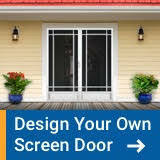 We like this idea. 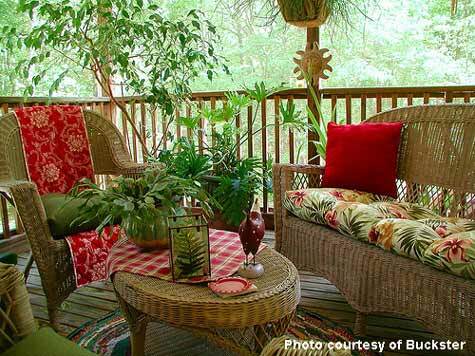 The porch landscaping incorporates red beautifully and the red cushions on the wicker chair and porch swing pull it all together. Beautiful simplicity. 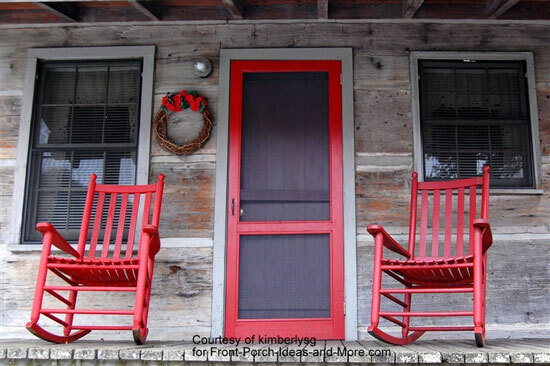 The red rockers and red screen door make an amazing statement on this country porch. 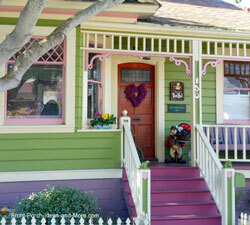 Red makes a lovely statement on this Victorian porch. 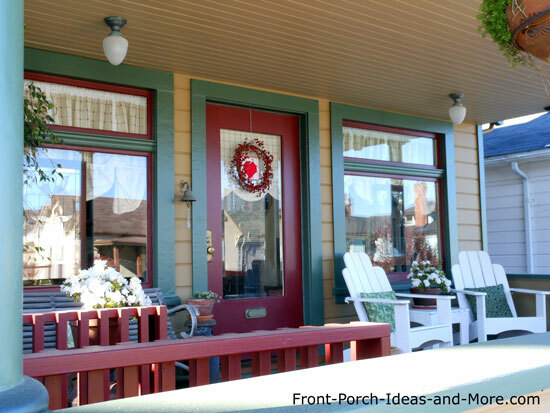 From the front door to the wreath and intricate window trim, red is a real charmer. 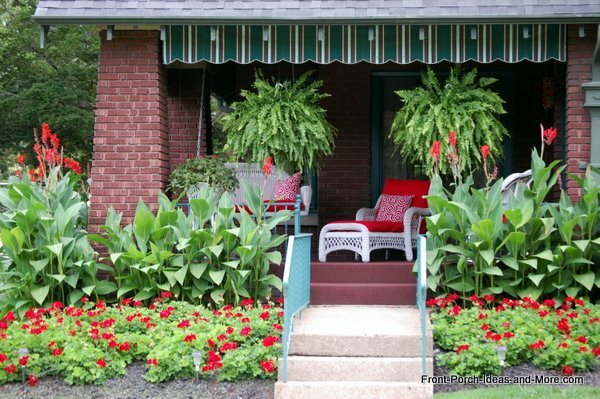 Lily, one of our Facebook friends, infuses her porch with punches of red! See her pretty bistro set? 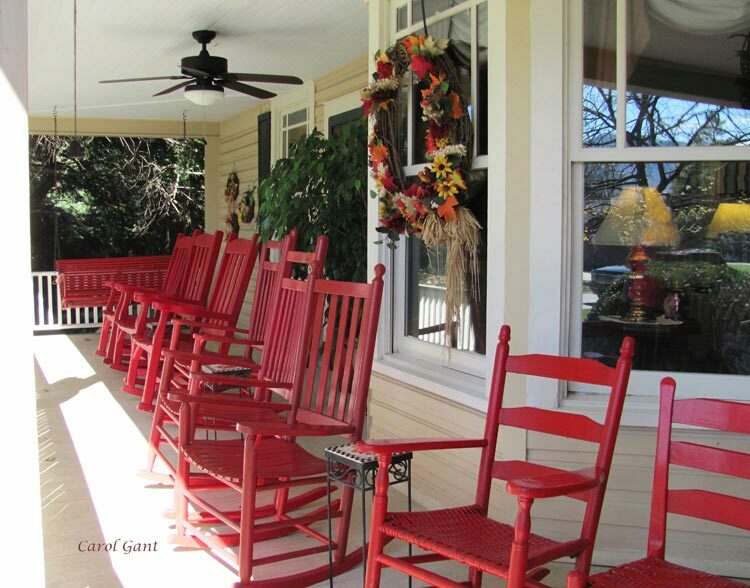 A collection of red rockers at the Red Rocker Inn (Black Mountain NC) makes this porch an exceptionally inviting place. 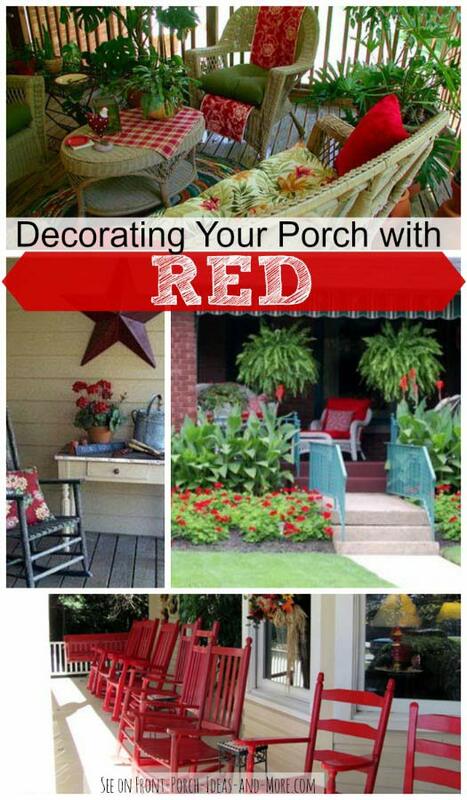 Decorating with red, Debbie opts for a deeper shade. 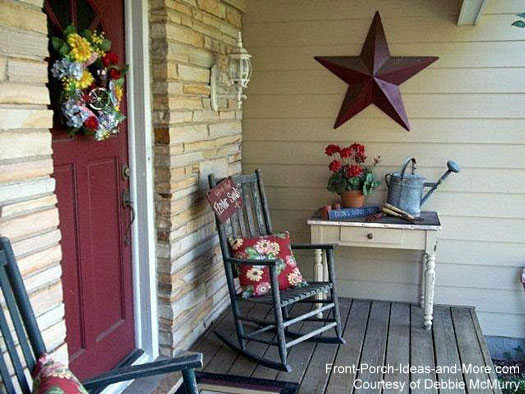 We like how she incorporates pops of red in her pillows, front door wreath and American star to complement her front door. Purely charming. Thanks for sharing your picture, Debbie. Renee incorporates pretty touches of red in her quilt, checked curtains, and sweet red lantern. 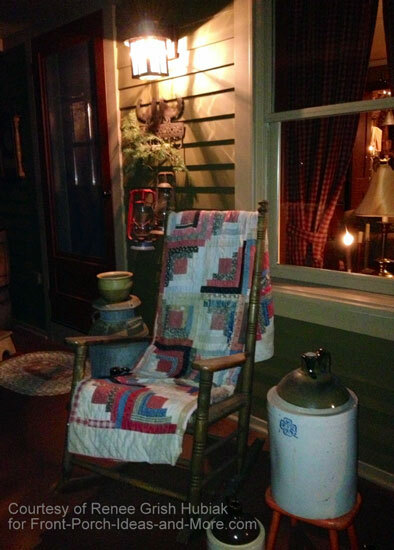 Her porch spells home and we appreciate her decorating with red! 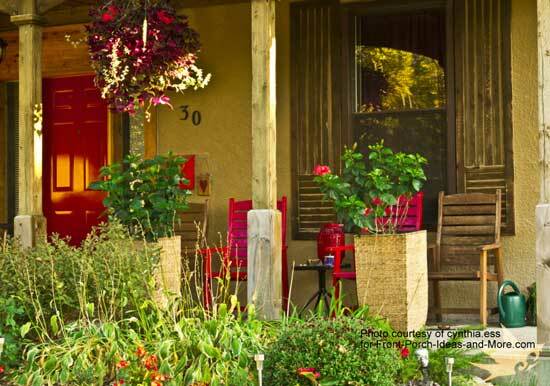 From the sheen on the front door to the red rockers and old-fashioned mail box, red really pops on this porch. 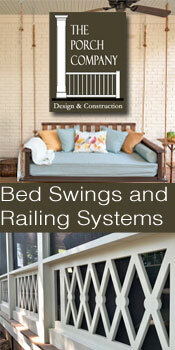 Thank you to Dawn, Kimberly, Debbie, Renee, and Cynthia for sharing your pictures with us. 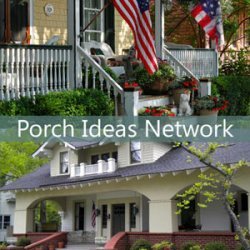 Want Some More Porch Ideas?